Nursing is full of critical decisions. To make them, nurses need clinical reasoning skills they can’t learn from textbooks. 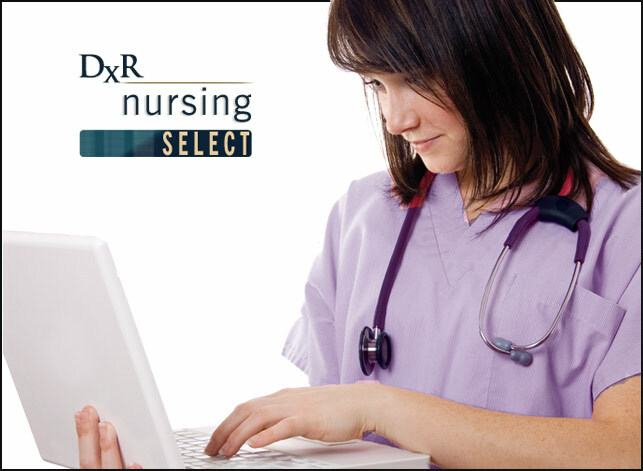 That’s where DxR Nursing SELECT offers them an edge. 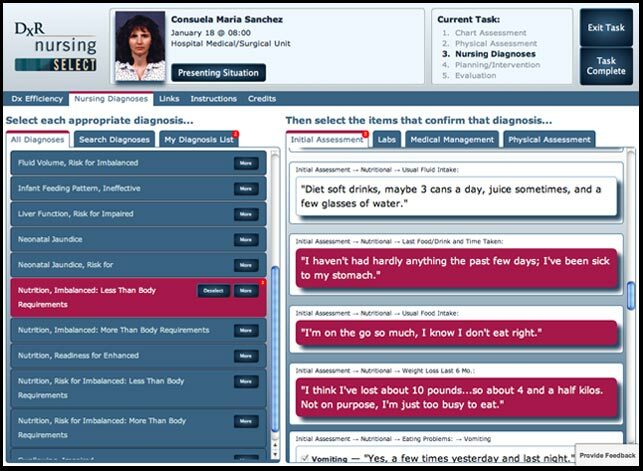 Virtual patients bring the process to life, allowing nursing students to assess, diagnose, develop care plans, and evaluate client progress, with real-time feedback and scoring to hone their skills. Practice makes perfect! 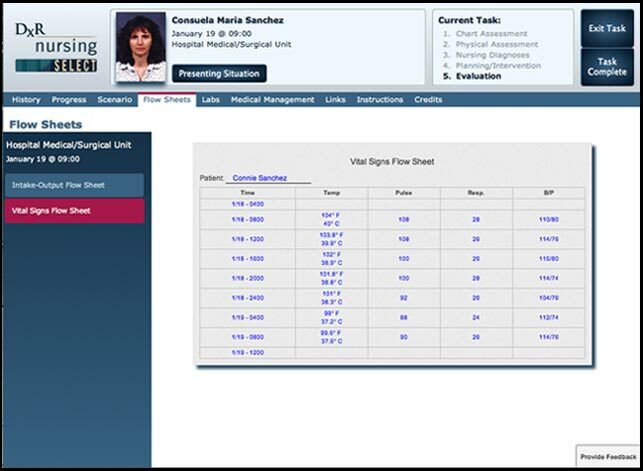 The tools you need to excel in today's nursing profession. Students interact with an electronic chart to identify pertinent client data. 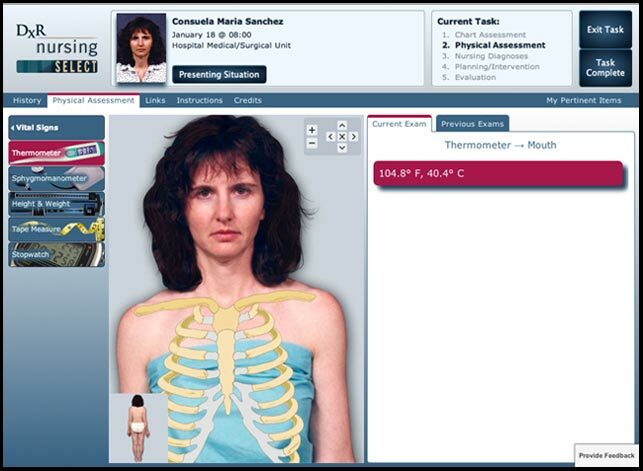 Students apply physical exam "tools" to the patient's picture to conduct a virtual physical exam and gather data needed to select nursing diagnoses. 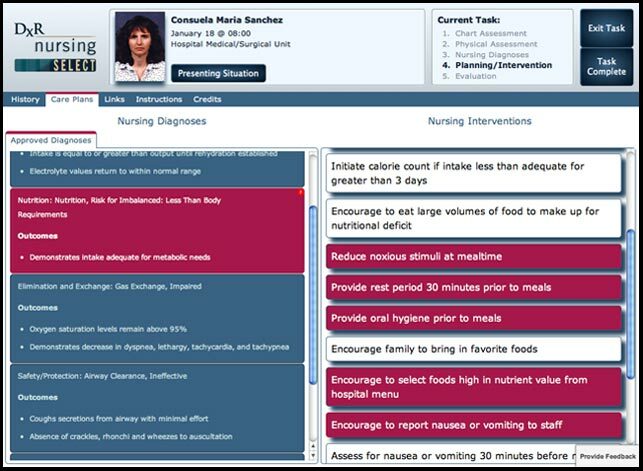 Students develop a care plan by reviewing the desired client outcomes and then selecting nursing interventions that would help the client achieve those outcomes. 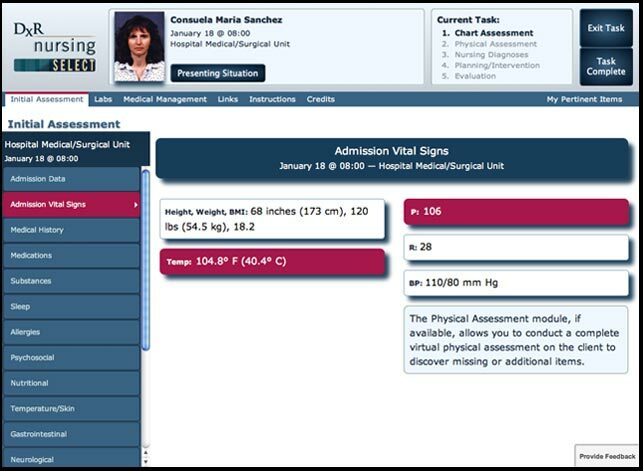 After a period of "virtual time" students review updated client data, such as progress reports, vital signs flow sheets, and a recorded nurse/client conversation, to assess whether the client has shown progress toward the desired outcomes. 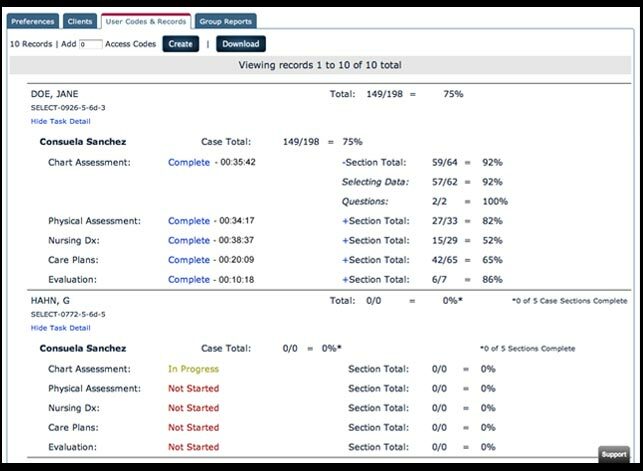 Instructors can see a snapshot of individual student performance as well as group performance statistics in each part of the case. 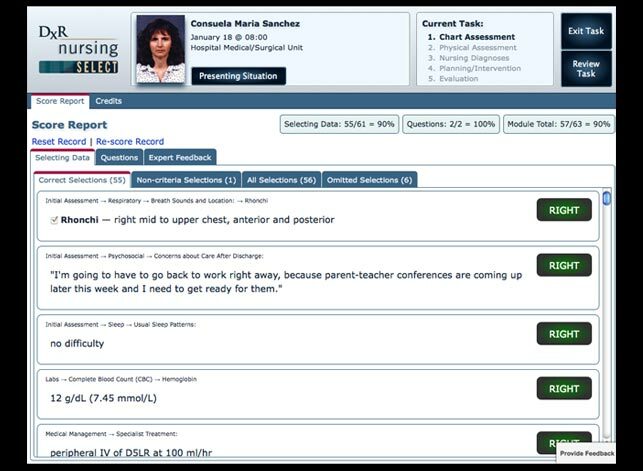 Decisions made by students in each section of a DxR Nursing SELECT case are compared to the criteria set by the case author to produce a score report, providing insight into the student's thinking in key areas of the nursing process. These detailed individual scoring summaries are also viewable by the instructor. Watch the video to see how DxR Nursing SELECT can help your students develop critical thinking skills. *Nursing Diagnoses: Definitions & Classifications 2018-2020 © NANDA International, 2017 used by arrangement with Thieme Medical Publishers, Inc. a division of the Thieme Group. All rights reserved. Authorized translation from the English language edition published by Thieme Medical Publishers Inc.